December 27, 2018 Epic has made $3 billion in profit this year. Yes, Fortnite is still making an absurd amount of money. A new report suggests that publisher Epic Games has brought in $3 billion in profit this year driven largely by the battle royale’s success. That is indeed ‘profit’ and not ‘revenue,’ so the figure accounts for the studio’s expenses for 2018, which makes the number even more impressive. That $3 billion figure comes via an anonymous source speaking to TechCrunch, and it tracks with the expectations analysts set earlier in the year. That speculation included $2 billion in Fortnite revenue, and there’s little reason to suspect those predictions were unfounded. Epic’s business is buoyed by continued licensing of the Unreal Engine, but these results likely don’t have much to due with the very recent launch of the Epic Games store. Back in July, it started to seem that Fortnite might be slowing down. That month saw profits increase just 2% according to SuperData, which was a marked decrease in growth compared to every month prior, and it’s especially notable since the Season 5 Battle Pass launched during the month. But ‘slowing down’ doesn’t mean ‘stopped,’ and clearly Fortnite remains one of the most valuable properties in gaming. Tim Sweeney, who founded Epic in the early 90s and still serves as the company’s CEO, is thought to be worth between $5 billion and $8 billion since Fortnite’s success, according to Bloomberg. That July report also suggested a $14 billion dollar value for Epic as a whole, based on the trading of other companies in the industry. 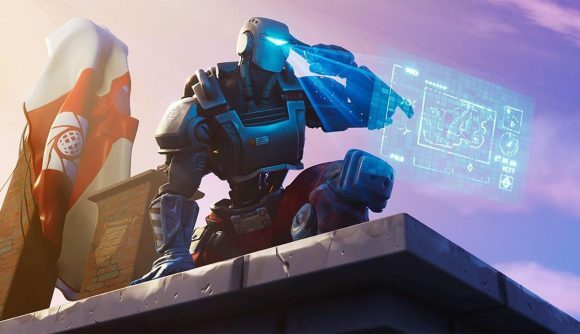 Michael Pachter – yes, the Wedbush Securities analyst who became a gaming meme – says that even if Fortnite revenue falls to half its current state, Epic could still command up to $7.5 billion if it went to market. Chinese conglomerate Tencent currently owns a 40% stake in Epic, which it bought for $825 million back in 2012. Clearly that investment has paid off, but Tencent has not yet disclosed how exactly it’s broken down on the balance sheets.